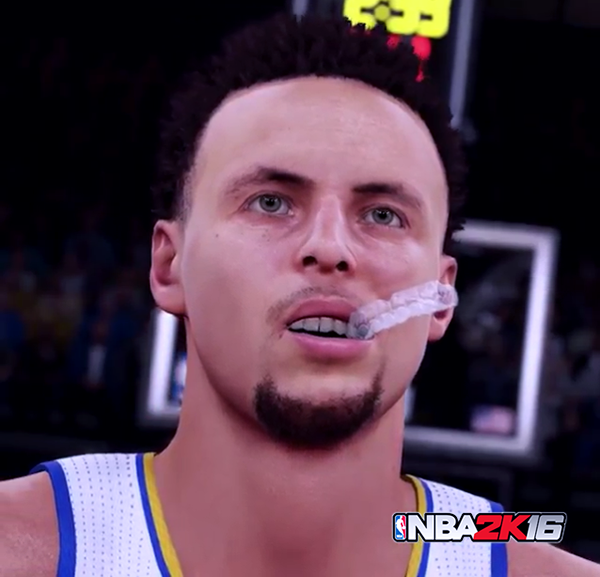 Golden State Warriors superstar Stephen Curry has just posted a video clip of himself in NBA 2K16. The short gameplay footage shows his signature Under Armour "Curry One" shoes and his free throw routine animation complete with mouthguard clamped on the side of his mouth. You can watch it below. Along with Anthony Davis and James Harden, Stephen Curry will be gracing the cover of NBA 2K16. The game will be officially released on September 29, 2015 for Windows PC, Xbox 360, PlayStation 3, Xbox One and PlayStation 4.